Check out the Functional Medicine Video under the Functional Medicine tab above and call our office for more information. Call us at (919) 562-0302 today. Why Do People Travel from All Over the Triangle to See Dr. Phelan? For more information or to schedule an appointment with our Wake Forest chiropractor, call 919-562-0302 today! At your first visit to Wake Forest Chiropractic, Shawn Phelan will explain how chiropractic care works and give you a full evaluation to see if our chiropractic solutions are a good fit to address your needs. If there is a good fit, we can customize a plan of chiropractic care for your condition and health goals. Dr. Shawn Phelan is not your average chiropractor. What is it that makes him unique? His patients know that he can provide an accurate diagnosis of their pain or injury, and that he will recommend the best care possible. It may be rest and ice, massage therapy, chiropractic care, or an appointment with a specialist like an orthopedist. His goal is to help your body heal quickly and naturally. Is it truly a migraine or could that pain be caused by something else? What causes sciatica pain, disc herniations and bulges? What are some of the ways of getting rid of back and neck pain? Causes and solutions for knee pain and injuries. TMJ dysfunction plagues many people, learn all about it here. Check out this very popular supplement and discover the facts. How to determine if your back, hip, or leg pain may be caused by a leg length problem. Have you been in an auto accident? Important information you need to know. We will do our best to accommodate your busy schedule. 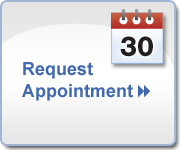 Call us at 919-562-0302 or click the link below to schedule an appointment today! Dr. Shawn Phelan of Wake Forest Chiropractic chose to become a chiropractor after witnessing the benefits that his mother experienced more than 40 years ago. His mother was able to avoid a back surgery by walking out of a hospital and into a chiropractor’s office. This was a very powerful experience for Dr. Phelan and ultimately, convinced him to become a Doctor of Chiropractic rather than an engineer. "Dr. Phelan is a doctor that will not stop until he helps you get to maximum improvement... I feel much better and I am very glad that I followed through with his recommendations."